This small, 3-star hotel in central Hamburg is only 100 metres from the Hamburg Main Station and Hamburg Bus Station. It offers traditional-style rooms with cable TV. 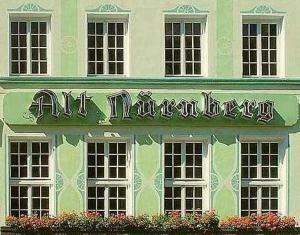 All of the spacious, individually furnished rooms at the Hotel Alt Nürnberg have private bathrooms. Coffee makers, bathrobes, and slippers are provided on request. A free bottle of mineral water is provided on arrival. Wi-Fi is available in all of the Alt Nürnberg's public areas and in some rooms. The Alt Nürnberg also provides secure storage facilities for bicycles. Attractions near the Hotel Alt Nürnberg include the Schauspielhaus theatre, the Kunsthalle gallery, and the Binnenalster lake.